Pneumonia vaccine is highly effective means of prevention against pneumonia, an inflammatory condition of the lung. 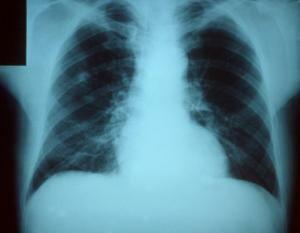 Pneumonia is considered a serious medical condition. It can be caused by many infective agents including bacteria, viruses, fungi and parasites. In majority of cases pneumonia is bacterial in nature. The condition can be triggered by physical or chemical injury. It is estimated that a half of mullion people are affected by pneumonia each year and that there are 50,000 cases of death due to pneumonia and its complications. This particular condition mostly affect people over the age of 65 and since older patients already have problems with health and they are more prone to complications of pneumonia. They actually represent the group of patients which can benefit most from pneumonia vaccine. Pneumonia vaccine is not able to prevent all type of pneumonia and the disease caused by all infective agents. However, it is highly effective against pneumococcal disease, the most severe form of pneumonia. Who is a Candidate for Pneumonia Vaccine? Immunocompromised patients are generally prone to infections which mean they are also susceptible to pneumonia. They represent only one group of people who can benefit from pneumonia vaccine. This vaccine does not contain a live culture and can be safely administered to immunocompromised patients. Furthermore, children who are suffering from cancers (leukemia), kidney failure or heart conditions are also suitable candidates from pneumonia vaccine. Their immune system is also jeopardized due to primary medical condition. People over the age of 65 are considered candidates for pneumonia vaccine as well. But the vaccine can be also administered in people younger than the age of 65. There is a lot of misunderstanding when it comes to the frequency of pneumonia shots. The actual duration and effectiveness of the vaccine has not been established yet. Even the most prominent medical institutions do not provide with sufficient data regarding how often a person is supposed to be vaccinated. In spite of that there are general recommendations which say that young people are supposed to be vaccinated at an interval of 5-10 years. This option may not lead to long-term effectiveness of the vaccine. People above the age of 65 are allowed to have only one shot of pneumonia vaccine. And finally, younger people may be administered a booster dose. The doctor recommends the frequency of vaccination in the individual case. Pneumonia is transmitted via respiratory secretions. Coughing, sneezing and close contact with infected people may allow droplets to enter nasal or oral cavity of a healthy individual and cause infection. Contact with infected people is, therefore, forbidden. Washing hands thoroughly in case a person comes in contact with infected saliva or nasal discharge may prevent spread of the infection. People who are infected are supposed to cover their mouth and nose when sneezing and coughing and to use only disposable tissues.